Ramleh is one of the Hummus capitals of Israel. There are a lot of places there and most are great. Perhaps the most well known and best Hummus in Ramleh. Some would argue in the whole of Israel. 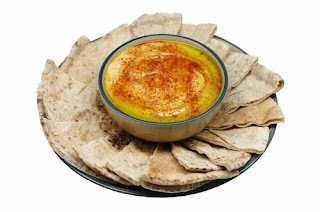 They are known not just for their Hummus but also for their Mesubache which is a Hummus dish- Hummus with warm Chickpeas cooked. Try it. Good Hummus. Really good Hummus in the hearland of the Tel Aviv Metro district. Like the above. A good Hummus in the Tel Aviv Metro district.